STWS is excited to announce our new relationship with Banyan Botanicals. Certification is your guarantee that the herbs and products are produced without pesticides, chemical fertilizers, sewage sludge, bioengineering or ionizing radiation. Banyan Botanicals was founded in 1996 by two of Dr Vasant Lad's students and former staff members. Dr. Lad is the foremost Ayurvedic Doctor in the US. Banyan continues to maintain a close relationship with Dr. Lad and his Ayurvedic Institute as one of their main suppliers for Ayurvedic herbs and products. Banyan also continues to employ several graduates of Dr. Lad's program. 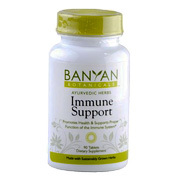 Banyan is the industry leader in certified organic Ayurvedic herbs. It employs recognized Ayurvedic experts and qualified botanists in India and Sri Lanka to insure the purity and potency of the herbs, as well as independent US labs for heavy metal testing. We'd like to acknowledge and thank our original partners and suppliers, Drs. Pankaj and Smita Naram of Ayushakti India and Marian and Rahim Zakharian of Jivan Shakti USA. Without their generosity and compassion for the 9/11 community and their service to humanity, STWS would never have been able to get off the ground. They responded to those in need after the tragic collapse of the World Trade Center by meeting with volunteers and workers and developing the 4 original herbal formulas that have become the foundation, along with Dr. Richard Brown's Breathwork and Meditation workshops, of our service. We'd also like to thank Hema, Vinay and the team in India, the wonderful staff members who have facilitated the clinics in NYC over the past 10 years, as well as all the staff of Jivan Shakti, USA. We are grateful to all who have made STWS possible and have served with us on behalf of our participants. If you have any questions about our new partnership, the herbal formulas or how to obtain them, please contact your coach or call Besty Thomson at 267-373-9354.